The real trick with tough love is to use the right amount of both toughness and love. That's where healthy and productive anger comes in. You learn to channel the healthy energy of your emotions into healthy, effective actions. When anger is healthy, it is not separate from love. What makes anger unhealthy is when it gets disconnected from your good heart and your wisdom. And tough love definitely needs your good heart and wisdom! Why does love have to be tough? Good question. It has to be tough because if it's too soft, it can get walked on, manipulated and abused. When your anger and love are healthy, everybody benefits! What Exactly Is Tough Love? Love is tough and healthy when you're standing your ground, taking care of yourself, and still showing love. Love is the most important part. If the love is clear, not much toughness is needed. If the love is not clear and present, no amount of toughness will be enough. Love that is tough is honest, authentic and sincere. When love is tough, you will be respected. Okay, that's great--but how do I do it? Good question, tough answer (there's that word again...). Basically, you have to have anger that is functional and healthy to show tough love. So, let's take a look at how this happens. 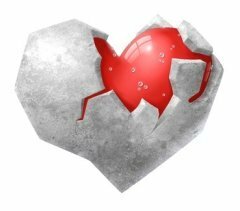 How Do I Make Love Tough But Not Harmful? 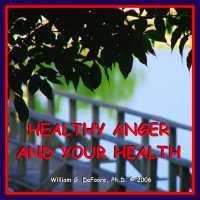 First, get your anger healthy by reading about the worksheets, techniques and tools offered. You might also want to get copies of some of our books or CDs. Then learn these communication tools so that you can master conflict resolution and empathy skills. These are absolutely essential skills for healthy problems solving. Most of the time it's parents that need their love to be tough. If you're a parent, learn about information on parenting teenagers, so that you can not only parent effectively, but also provide a healthy, strong role model. Speaking of love, make sure you love yourself and have good self esteem. How you feel about yourself is reflected in everything you do. A great way to express tough love is be understanding and clarifying personal boundaries. An excellent way to establish boundaries is to "find the distance from which you can love" the other person. The point is to move to a loving attitude, which you can do up close with some, while with others you will need more distance to feel loving. Learn more about tough love. The key to making your love strong and supportive is healthy anger. Listen to free previews of this excellent audio program, and get your risk-free copy of the MP3 download or CD now! These 2 anger management CDs will help you to tap into the incredible healing power of your anger and all of your emotions. When it's productive and functional, anger doesn’t look, sound or feel like anger as we’ve come to know it. Healthy anger is tremendously powerful energy that fuels effective action. Make your emotions work for you instead of against you in this powerful, uplifting and informative program. You are worth it! Take advantage of our 100% guarantee and get your anger management CDs or audio download today!